In geography, a confluence is the meeting of two or more water bodies. It can be or the point where a river joins with a larger one (main stem), or when two stems meet together to form a new river, with an own name. 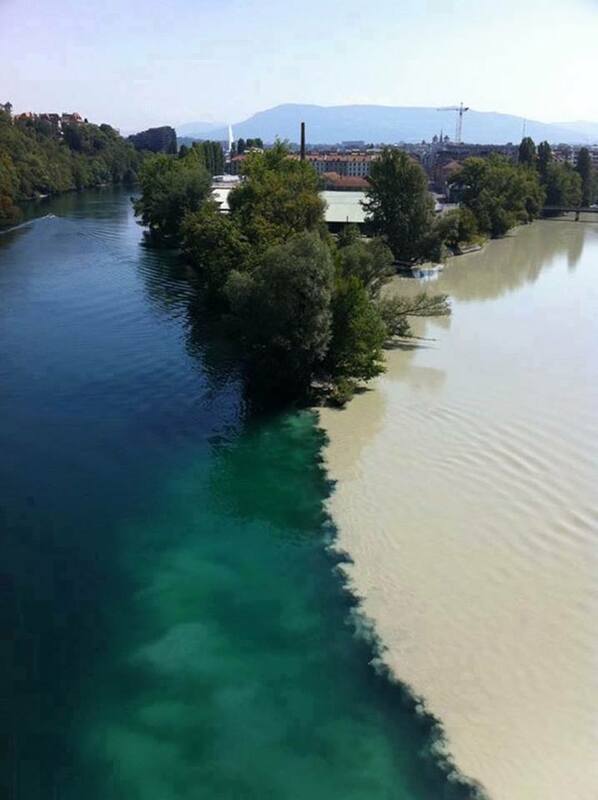 Here's there's the confluence between Rhona river and and Geneva river (Switzerland).